Flurbiprofen Sodium is one of a series of phenylalkanoic acids that have shown analgesic antipyretic and antiinflammatory activity in animal inflammatory diseases. It is used as a tear substitute in case of lacrimal secretion deficiency, dry eye syndrome or for any condition requiring soothing, lubricating and moisturizing of corneal tissues. It may also be used as a protectant against further irritation. 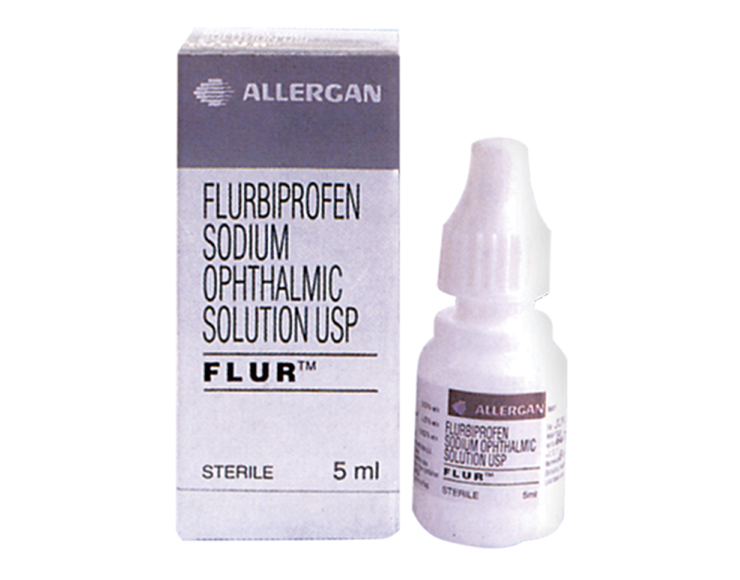 FLUR™ ophthalmic solution is available in a 5 mL plastic dropper bottle.